Prior to joining the faculty, Dr. Sobeck was on staff at the Addiction Research Institute for 15 years. While there, she conducted research that examined predictors of adolescent alcohol and other drug use and tested prevention strategies implemented in large community contexts and school-based settings. 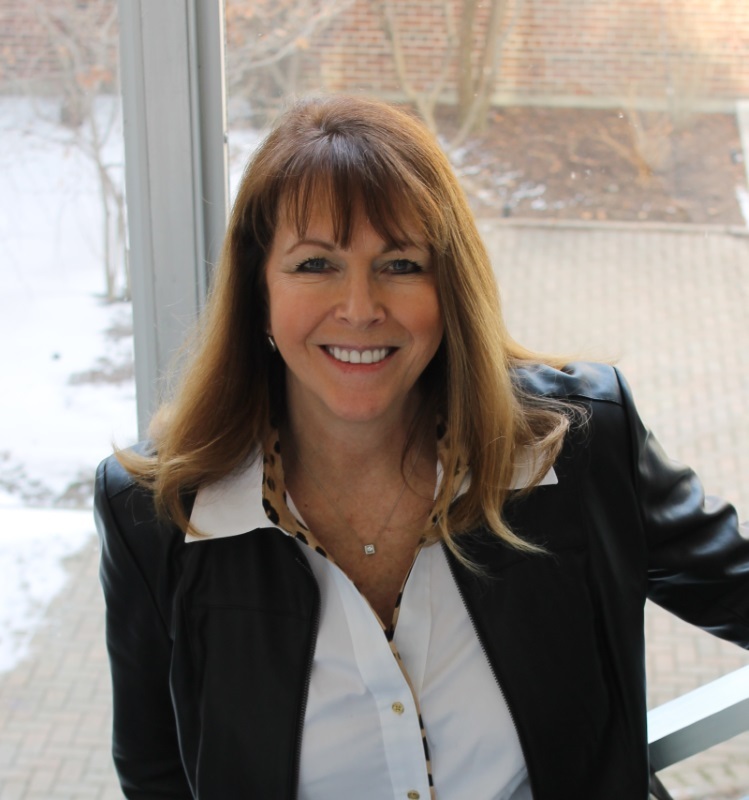 Since joining the Wayne State University School of Social Work, her research has expanded to include capacity building with nonprofit organizations, applications of evidence-based programs in community settings, and processes related to program development, implementation science, and evaluation. Dr. Sobeck is the Associate Dean for Research and Director for the Center for Social Work Research, where she directs strategies related to building infrastructure to support faculty research and engaging community partnerships to develop and evaluate best practices in social work interventions. She is active in the American Indian community and serves on several nonprofit boards. Her combined experiences and publications in community-based research and capacity building provide a strong basis for her teaching, mentoring, and commitment to fulfilling the School's urban mission. In its third year, this collaborative project is building the capacity of the Focus: HOPE Neighborhood Network and evaluating the implementation processes and outcomes for participating residents and agency partners with the aim to increase economic self-sufficiency. The Neighborhood Network is a unique model of service delivery that assesses needs, creates a person-centered solution-focused plan, and connects residents with warm transfers to support service utilization. The model moves seven nonprofit organizations toward a new way of doing business that opens opportunities for residents to achieve their goals. Residents access the services of all organizations through a single point of entry, and where data is shared in real time regarding progress of participating residents moving to self-sufficiency. The evaluation team uses multiple methods to assess and support the Network including web-based surveys of stakeholders, mail surveys and Word Cafés with residents and a case study approach to understand the contextual conditions that are relevant to the evaluation of the program. Social work students have been involved with developing an implementation manual to improve practice fidelity, facilitating professional development and working with staff and residents to gather feedback on the successes and challenges. The School of Social Work is partnering with the Michigan Department of Human Services, with a focus on Wayne County, to be at the forefront to invest more, engage longer, look to the future, and hone the education and training for current and prospective child welfare workers in southeastern Michigan. The “Wayne Together” goal is to select up to 15 students per year for each of the five years, for a total of 75 students and become a sustainable education and training exchange between the University and the Department of Human Services for Wayne County, directly addressing child welfare career and workforce development. By selecting the best students, generating integrated learning opportunities, using Independent Development Plans (IDPs), and creating connections between faculty, students, graduates, and child welfare workers, the WTC program is set to launch the next generation of staff to become the region’s leaders in child welfare. Dr. Sobeck and Dr. Najor-Durack (Co-PIs) also support evidence-based child welfare practice by facilitating professional development and providing coaching to the existing child welfare workforce in Wayne County. With the increasing emphasis on evidence-based practice, partnerships between universities and communities can produce exciting internal and external opportunities for collaboration. Knowing why, when and how to invest in these partnerships is important for stakeholders in both settings. This research applies theoretically driven factors such as motivation, external environment, organizational characteristics and resources to assess partnership viability and sustainability. Using case study methodology, this research seeks to identify principles for effective research and teaching collaborations as well as challenges of creating community-engaged partnerships. Trends in the types of partnerships and the processes that are used to meet the objectives are also examined. Finally, this research documents the impacts of partnerships. How has the practice in the agency partner changed? What publications have resulted? How much external funding has been generated through partnerships? This research is an ongoing effort to understand how nonprofits, particularly grassroots organizations, emerge, evolve and change over time. This research has been realized through multiple studies including a longitudinal evaluation of a capacity building program for nonprofits, case studies to examine a staged model of capacity building, a cost effectiveness study, and two surveys of nonprofits reaching over 500 organizations. Combined with practice experience of working with nonprofits, this research is helping to build a framework for capacity building and the identification of factors that influence organizational readiness for change and growth. Sobeck and director of field education, Anwar Najor-Durack, are working to promote a strong child welfare workforce in Michigan through Wayne Together – Child Welfare Learning and Leadership Collaborative in partnership with the Michigan Department of Health and Human Services. Aimed at increasing recruitment and retention in this vital workforce area, the federally funded initiative trains select M.S.W. students for child welfare positions with an expanded curriculum and a rotational field education placement in child protection, foster care, and adoption. It also provides coaching, workshops, and continuing education to publicly and privately employed child welfare staff in Wayne County.